What Are Chargebacks and What do They Mean for Your Business. Whether you are a merchant who has received his first chargeback or a consumer curious about how chargebacks work, it is important to understand the purpose, history and impact that chargebacks make on those involved in the process. The Truth in Lending Act of 1968 laid the groundwork for credit card chargebacks. However, payment industry experts recognise The Fair Credit Billing Act of 1974 as the invention of chargebacks. When introduced, chargebacks were a form of consumer protection for credit card holders. For cardholders victimised by fraudsters (either criminals who place unauthorised transactions or unscrupulous merchants who take advantage of the consumer), a chargeback is the consumer’s fallback option. No matter what, the cardholder’s money is safe. Consumers can use a chargeback to dispute a card transaction and secure a refund for their purchase. Chargebacks can be used to dispute a card transaction and secure a refund for the purchase. A chargeback voids a card transaction, withdrawing funds that were previously deposited into the merchant’s bank account and applying credit to the consumer’s card statement. Chargebacks differ from traditional refunds in one simple way: rather than contact the business for a refund, the consumer goes over the merchant’s head and asks the bank to forcibly remove funds from the business’s bank account. If the bank feels the cardholder’s request is valid, the funds will be removed from the merchant’s account and returned to the consumer. As a form of consumer protection, the chargeback process is naturally skewed towards the cardholder’s safety. One of the driving forces behind chargebacks is customer satisfaction. The risk of a forced reversal of funds keeps many merchants focused on providing exceptional customer service. Chargebacks also serve as a deterrent to merchants who might be tempted to sell sub-par products or services. Cardholders will claim the products or services were not as described. The threat of chargebacks helps merchants stay honest. Customers can’t be expected to pay for something that was never delivered, charges that shouldn’t have been made in the first place, or refunds that never got issued. Criminal fraud flourishes in today’s society. Many cardholders aren’t surprised when they learn unauthorised transactions have been made on their account. Filing chargebacks on fraudulent card transactions can help innocent victims recoup their money. While knowing the chargeback definition is important, it is more beneficial to understand when consumers should use chargebacks. If a consumer suffers from identity theft and unauthorised transactions have been made, the victim should contact the bank immediately. Not only will the cardholder want to recoup stolen money, the bank can also help prevent future losses. 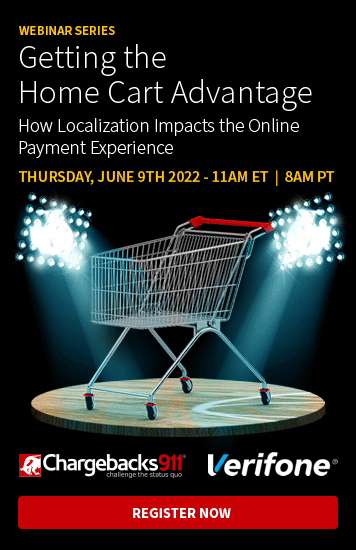 However, even if fraud has occurred (or the consumer thinks it has), it is in the consumer's best interest to communicate directly with the merchant. Sometimes, the perceived fraud might actually be an accident. Perhaps the consumer has forgotten about the purchase or the merchant made an innocent mistake. Plus, a refund usually puts money back in the consumer’s account much quicker than a chargeback. In the case of fraud, the cardholder has every right to file a chargeback. However, this is the only situation where the consumer should call the bank first. In any other circumstance, the cardholder needs to deal directly with the merchant. Filing a chargeback instead of seeking a traditional refund when unsatisfied with a purchase is cyber shoplifting. Chargebacks were designed as a form of consumer protection. However, they have since evolved into a deadly weapon that consumers use against merchants. Friendly fraud is often called chargeback fraud because consumers use the chargeback process to steal from merchants. The consumer uses a chargeback to avoid a restocking or handling fee. The return process seems too cumbersome. The consumer wasn’t patient enough to wait for (or didn’t understand) the delivery schedule. The consumer didn’t act promptly and the return time limit has expired. A family member made the purchase but the cardholder doesn’t want to pay the bill. The cardholder forgot about or didn’t recognise the transaction. The cardholder wants to make some extra money. Financial losses resulting from credit card fraud exceeded £80 billion in fees, false positives, and lost merchandise and revenue for eCommerce merchants in 2013. Of that, experts estimate that at least £4 billion is caused by friendly fraud, but in reality, the costs are much higher. In 2016, financial losses caused by credit card fraud exceeded . Of that, experts estimated at least £30 billion was caused by friendly fraud. In reality, the costs are probably much higher. According to consumer claims at the time of filing, nearly half of all chargebacks are supposedly in response to unauthorised transactions. However, a recent survey found 81% of cardholders filed a chargeback simply because they didn’t have time to request a refund from the merchant. 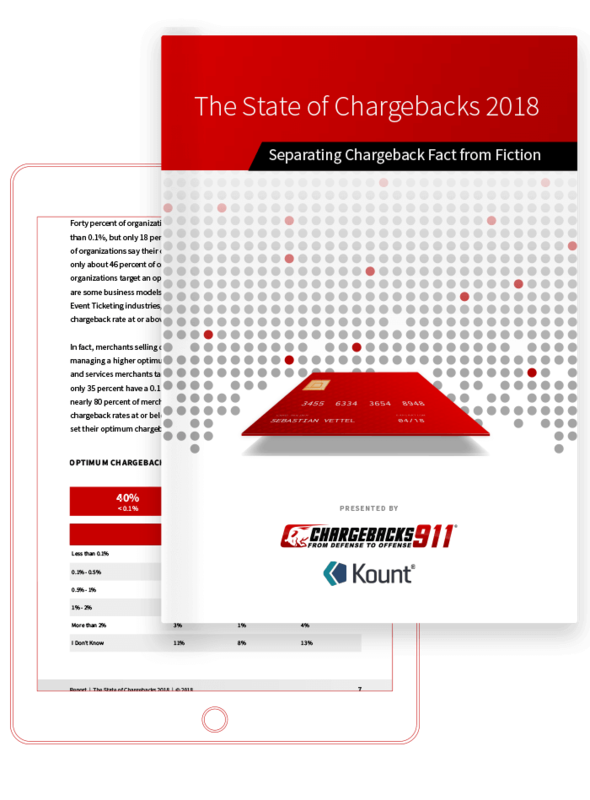 Stats show 40% of consumers who have filed a chargeback will do so again in the next 60 days. That means cyber shoplifting will continue to run rampant until consumers start taking responsibility for their actions. A consumer might think a single incident of chargeback fraud is no big deal, but that mentality is clearly creating a very substantial problem. In order to fully understand the repercussions of their actions, consumers should be aware of the effect chargebacks have on a merchant. Consumers need to know how a chargeback affects the merchant. It is absolutely essential to understand what a chargeback is and how it affects a business’s bottom line. Answering the question, “what is a chargeback?” is the first step towards implementing an effective management solution. So many business owners don't even realise they can dispute these chargebacks. I didn't know what a chargeback was. I certainly didn't know banks could keep your money and charge fees on top of it. That was a completely new experience. The cardholder files a chargeback. A dissatisfied customer contacts the bank (issuer) and asks for a refund. The issuer reviews the chargeback request. If the cardholder has a valid claim, the funds will be removed from the merchant’s bank account and credited to the cardholder’s. Notification of the chargeback will be sent to the merchant’s bank (acquirer). If the cardholder doesn’t have a valid claim, the chargeback will be voided. The acquirer reviews the chargeback and takes action. The card networks (Visa and Mastercard) have created various chargeback rights; as such, merchants have the right to dispute an illegitimate chargeback. If inaccurate claims are made, the merchant can try to regain profits that were fraudulently removed. If the acquirer has access to the compelling evidence needed to dispute the chargeback, the bank will act on the merchant’s behalf. Otherwise, the acquirer will pass the chargeback along to the merchant. The merchant reviews the chargeback and takes action. If the chargeback is justified, the merchant may be forced to accept the losses. However, if the business has sufficient compelling evidence (documentation to prove the chargeback is invalid), the merchant can re-present the chargeback for the issuer’s review. The acquirer re-presents the chargeback. The acquirer disputes the chargeback (a process called representment) on behalf of the merchant. The issuer reviews the compelling evidence and takes action. If the merchant’s compelling evidence successfully refutes the cardholder’s claim, the transaction will be posted to the cardholder’s account a second time. The funds that were originally deposited into the merchant’s account, and removed with the chargeback, will be deposited once again. If the merchant’s compelling evidence doesn’t refute the cardholder’s claim, the chargeback stands. The transaction amount is permanently removed from the merchant’s bank account and applied to the consumer’s card statement. Chargebacks have both short and long-term ramifications for merchants. Each time a consumer files a chargeback, the merchant is hit with a fee (this can range from £15 to £100 per transaction). Even if the consumer later cancels the chargeback (for example, if it was filed because the item wasn’t delivered but shows up a few days later), the merchant will still have to pay the administrative costs associated with the process. If the consumer files a chargeback and simply keeps the merchandise, the merchant loses that revenue and any future potential for profit. If monthly chargeback rates exceed a predetermined threshold, excessive fines (in the ballpark of £10,000) will be levied against the business. If chargeback rates remain above the acceptable threshold, the acquiring bank could simply terminate the merchant account. This means a frozen merchant account, with the ability to process credit card payments revoked. The merchant will be unable to accept cards so long as they have a closed merchant account. If the merchant’s account is terminated, that business owner will be placed on the MATCH list. This means the business has been black-balled and is unable to secure a new account with a different processor for at least five years. Businesses that experience significant chargebacks could be forced to obtain high risk merchant accounts. These accounts come with steep processing fees and revenue-stealing rolling reserves. Acquirers create a merchant account reserve for businesses that regularly receive chargebacks. This non-interest bearing bank account is used to protect the bank’s assets should the business sustain too many profit losses. This restricted access to revenue usually creates cash flow issues that the struggling merchant is unable to overcome. While merchants have the right to dispute illegitimate chargebacks, crafting an effective dispute takes significant amounts of valuable resources—resources the merchant should be using to grow the business. Without professional help, these chargeback disputes rarely achieve the merchant’s desired results. Winning a chargeback dispute doesn’t improve the merchant’s chargeback-to-transaction ratio; the merchant can regain profits but not reduce the risk of a terminated merchant account. As you can see, even a single chargeback is dangerous for a business’s longevity and sustainability. Even a single chargeback threatens a business's longevity. Considering the definition of chargebacks clearly states these transaction disputes are a form of consumer protection, it might seem like merchants are the only individuals who can be victimised by illegitimate chargebacks and friendly fraud. In reality, both the merchant and the consumer suffer. It’s important for consumers to realise chargebacks can be a double-edged sword. If used improperly, consumers will ultimately be impaled by their own unethical behaviour. Filing some chargebacks means the cardholder might not get a refund for several months (whereas a traditional refund usually puts money back in the consumer’s account in a few days). If a consumer files a chargeback and the bank discovers it is a case of friendly fraud, the card account can be closed. Losing a card account can negatively impact a consumer’s credit score. If a merchant successfully disputes an illegitimate chargeback, the consumer might have to pay the accompanying chargeback fees. Cardholders who cry wolf too often won’t get the help they need in cases of legitimate fraud. In an effort to compensate for predictable chargeback fraud, merchants are raising their prices. Both merchants and consumers must know what is a chargeback. And both parties need to accept responsibility for their actions in the process. Merchants need to reduce the risk of chargebacks, both legitimate and illegitimate. If merchants ensure they are offering prompt and attentive customer service, providing high quality products and services, and attending to transaction details, consumers won’t have a valid reason to file a chargeback against the establishment and friendly fraud will decrease. Fighting chargebacks is the last major responsibility merchants must face. Banks file fewer chargebacks against merchants who regularly dispute these claims. Not only does chargeback representment ensure the business retains more profits, it also helps educate consumers about what is a chargeback and when it should safely be used. Merchants who need help creating an effective chargeback system, one that includes both prevention and representment, should contact The Chargeback Company. Cardholders need to remember owning a card is a privilege, not a right. Certain responsibilities come with that privilege, one is understanding what chargebacks are and when they can ethically and legally be used. Chargebacks should only be filed in dire situations. They are the last resort, not the first action to take when seeking a refund. Chargebacks shouldn’t be used frivolously, as the ramifications for the merchant are quite severe.